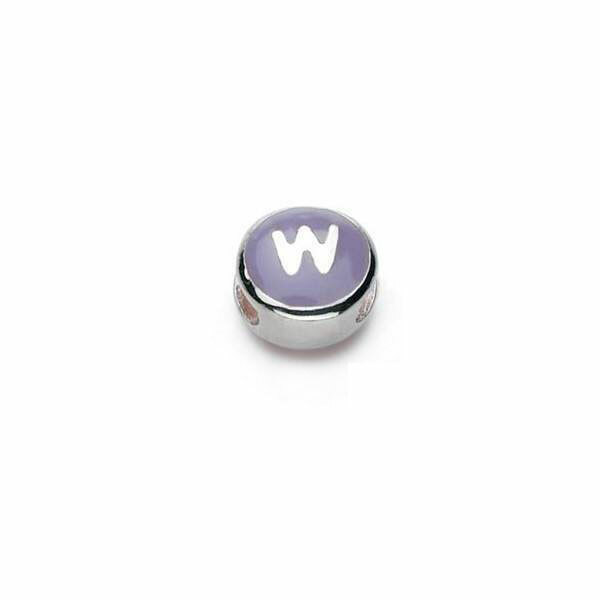 Sterling silver rhodium enameled alphabet bead. All letter w's are purple on one side and pink on the other side - and all are lower case. Upper case letters are not available.